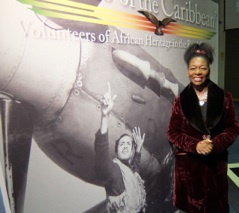 On the first of November 2013, I opened a fantastic exhibition at the Royal Air Force Museum in North London called ‘Pilots of the Caribbean’. 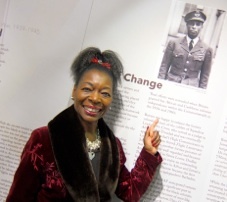 The exhibition commemorates the brave men and women of the Caribbean who joined the air force and fought for Britain in the 1st and 2nd World Wars. 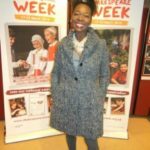 I’m pictured here in front of a photograph of the truly amazing Ulric Cross, a fellow Trinidadian who achieved the rank of Squadron Leader. 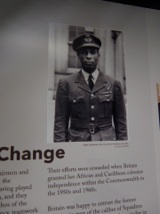 He was one of many Caribbean RAF heroes.